If you want to get on two wheels in London, it would make a lot of sense to take your CBT test in South West London. This area of London, out towards Heathrow and Leatherhead is much quieter than central London, which means taking your CBT will be much less stressful. It also means the roads are much more varied, so you’ll encounter many different situations while taking your CBT test in South West London, which will prepare you well for life on two wheels. RideTo has a number of CBT test centres in South West London, located in Richmond, Hounslow and Feltham. Out towards Heathrow Airport, in Hounslow, there is Heathrow Motorcycle Training. 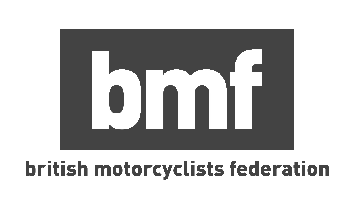 This training centre is MCIAC Approved, which means you’re guaranteed to get the best training and customer service when you take your CBT test in South West London with Heathrow Motorcycle Training. Many of the instructors are either serving or ex-Police motorcycle riders, which means they’ve been trained to an incredibly high standard and know what they’re talking about. Like most of South West London, the roads surrounding the training centre are relatively quiet compared to the centre of London, so your road assessment of your CBT won’t be too stressful. Heading further from London is West London Motorcycle Training, who are based in Feltham. The team offer CBT training and also full motorcycle licence training, should you want to move up a step after your CBT test. West London Motorcycle Training will provide you with a helmet and gloves for use during your CBT, so just make sure you bring a sturdy jacket, trousers and boots to wear during the day. Slightly closer to London is Ipass CBT Training Centre - located right in the centre of Richmond, just a two minute walk from the station. Ipass are also MCIAC approved and they have a good-sized off-road area, changing rooms, classrooms and a small cafe on site. What Can I Ride After My CBT Test? Don’t worry about buying your own motorcycle or scooter before your CBT test in South West London, the school will provide you with one you can use that is maintained and looked after by professionals. At the age of 16 you’ll be limited to motorcycles or scooters with a capacity of no more than 50cc and a top speed of 31mph. If you’re 17 or older you’ll be allowed to ride anything up to 125cc and will not be restricted to a certain speed, although 125cc bikes only go so fast! Unsure which scooter or motorcycle to get, 50cc vs 125cc? Unlike a car test, if you choose to complete your CBT Test in South West London an an automatic scooter, you won’t be restricted to riding automatic scooters on the road - you will also be allowed to ride manual motorcycles as well. However, it’s wise to complete your CBT on whatever type of bike you are likely to be riding. If you only plan on riding an automatic scooter after your CBT, then it makes no sense learning how to ride a manual motorcycle on your CBT Licence. Unsure what type of bike you want? We think these are the best scooters and motorcycles for commuting.